On our second to last day, we reluctantly took our final exam with much stress behind it. 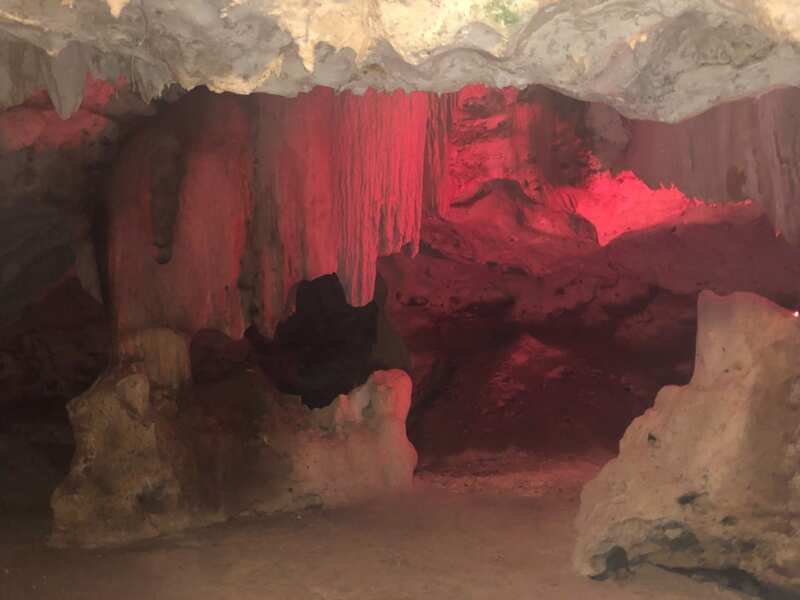 After some of us had a quick little rendezvous in the water (see Nick’s blog), we were surprised after lunch with a trip to Green Grotto Cave system! After lunch we hopped on the bus and made a quick ride to the caves. Most of us were greeted by visiting a boa constrictor in the female restrooms at the Grotto. A fun start to our journey! We all put on our yellow hard hats, along with our tour guide Dwayne, and entered the cave. We first entered an old festival area in the caverns, complete with a stage, bar and picnic tables- all made of stone. As we ventured further on, we learned about the history of the island, from runaway slaves to runaway Spanish governors- and a secret escape route! Emily Richters was chosen to travel along it, but Dwayne chose the wrong person as she actually wanted to go further than was allowed. Some of the stalagmite in the caves. We were taken to an underground lake 40 feet below the surface, down steep steep stairs. 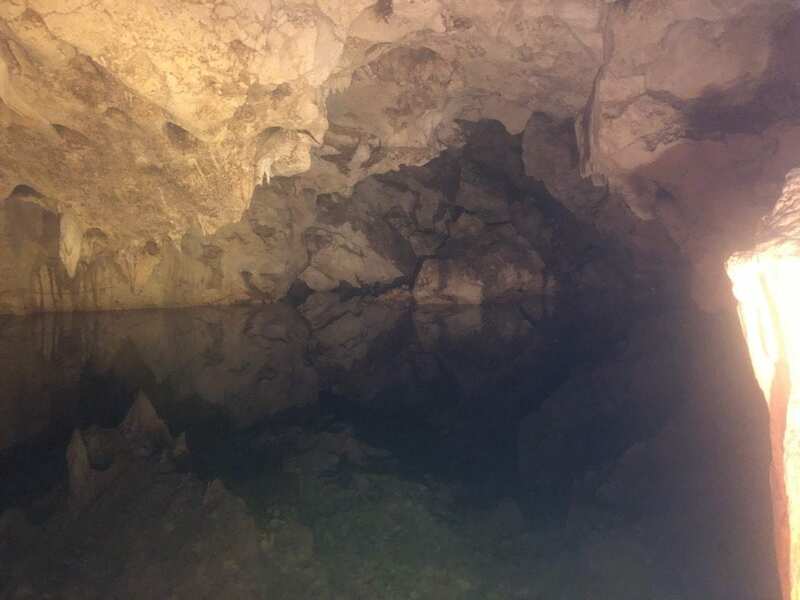 We learned stories of a girl who drowned in the lake and haunts the cavern to this day, where we saw her poltergeistly shadow on the cave walls. Suddenly- the lights went out! Some of us screamed before eventually the lights were turned back on. We ventured on, tossing Jamaican coins into the Wishing Well cave (most of us not hitting the water- although I did! ), and coming back to the original cave of the 3-4 we were inside through different routes. There, we were shown a rock that makes music when you bang on it like a drum. 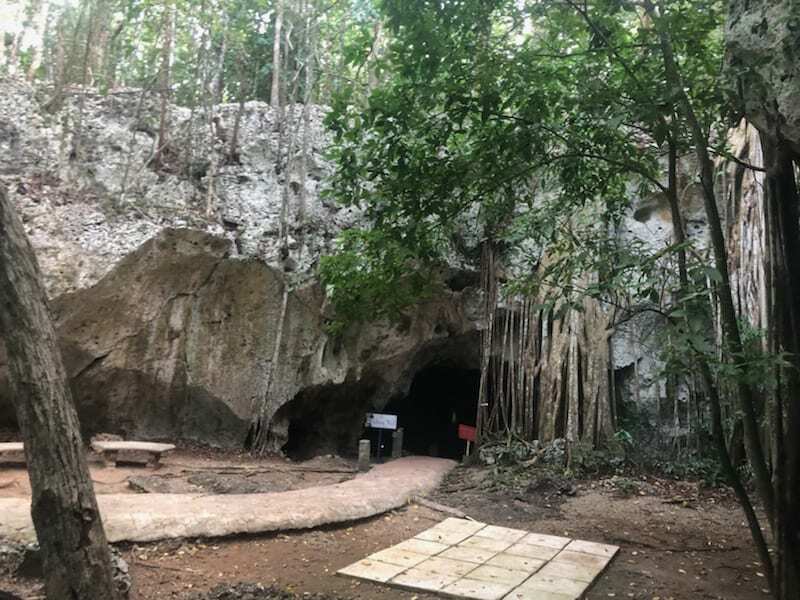 At the end, a few of us ventured into the wild cave, seeing bats flying around and something not so stomach-able that will remain unmentioned. All in all, it was an eventful, exciting day. We were all glad to be done with our final, and experiencing Jamaica.